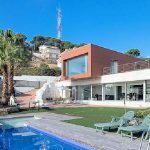 Exclusive villa for 4 persons with private pool and sea views in Moraira on the Costa Blanca. 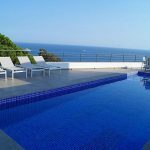 The villa includes a living/dining room with chimney and Satellite TV, a kitchen with dishwasher, washing machine, 2 double bedrooms, 2 bathrooms, a lovely covered terrace with panoramic sea views. Access to the large terrace with the pool. 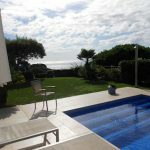 Closed plot with barbecue, a large terrace to take the sun, a private swimming pool with an outdoor shower and parking. 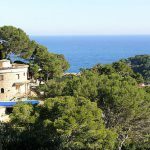 Villa for 8 persons with private pool and sea views in Blanes on the Costa Brava. 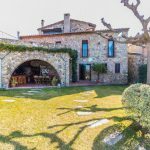 The villa includes a living/dining room with a chimney and TV, a kitchen with a washing machine, 4 double bedrooms, 3 bathrooms and several lovely terraces with panoramic sea views. Access to the large terrace with the pool. 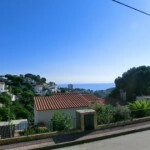 Closed plot with a large terrace to take the sun, a private swimming pool, garage and parking. 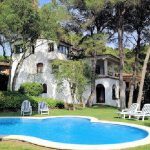 Villa for 6 persons with private pool and sea views on the Costa Brava near Cala Canyelles. 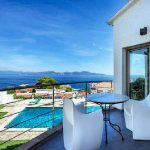 The villa includes a living/dining room with chimney and TV, a kitchen with washing machine, 3 double bedrooms, 2 bathrooms and a lovely covered terrace with fantastic panoramic sea views. Access to the large terrace with the pool. 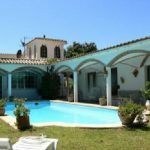 Closed plot with a barbecue, a large terrace to take the sun, a private swimming pool, garage and parking.